You’ve heard about the apple-gathering run. 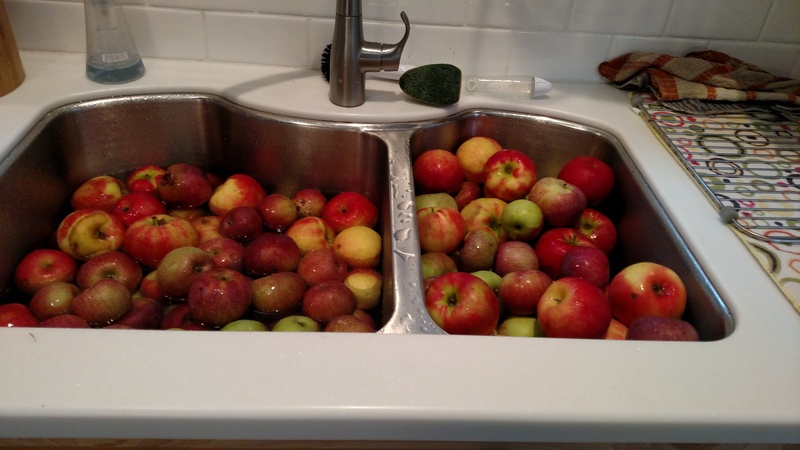 I had a boatload of apples in my minivan for about a week. I’d covered the whole batch, boxes and buckets, with a tarp to discourage the fruit flies. 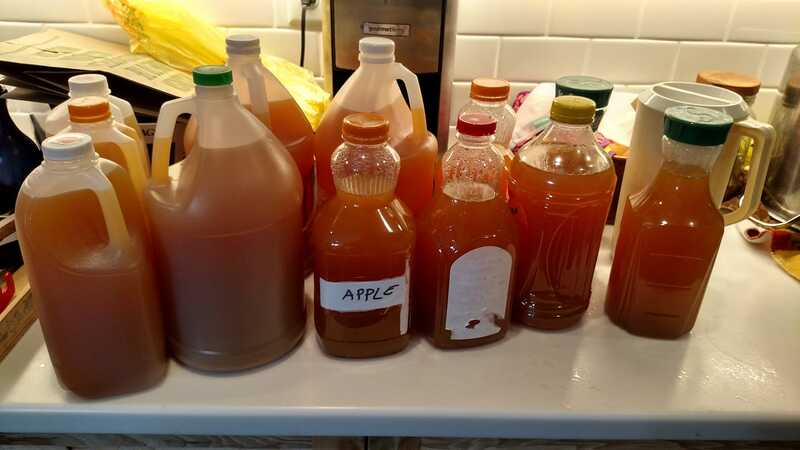 Sunday, we started the cider making day. 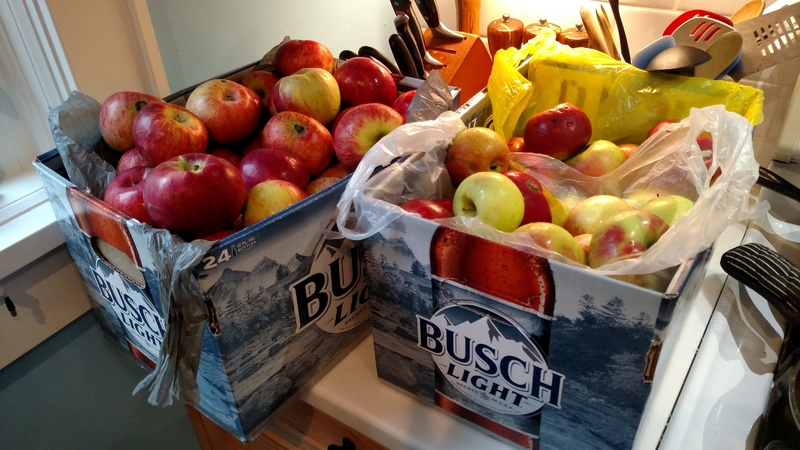 The Cortland apples in the beer boxes came from the second orchard. “Someone drinks a lot of Busch Light beer,” Husband announced to nobody in particular as he saw a pile of boxes along one wall. “The bar down the road drinks a lot of Busch Light,” the orchard woman told us. The boxes are sturdy, and the bar hands them over free of charge, and it works for everyone. I lined the boxes with plastic bags because…well, see for yourself. The beer boxes and the first four buckets were bargains because they were “seconds.” Imperfect. Scratch and dent. Whatever term you want to use, we got a deal on the apples because of it. Some, maybe most, had been windfalls – apples that fell on the ground before they were picked. Maybe that’s why I found so many apples that looked great to me, but were included in the bargain boxes. Does it look like a lot? It is. This batch got squeezed into the space remaining in the refrigerator and freezers. I brought a gallon to work; it was a hit! Crock pot, no spices, just warm and delicious cider on a cool and rainy day. It’s extra special because some of the apples came from the tree in front of the office.